I have been what you would call a Moonie since I was very young. 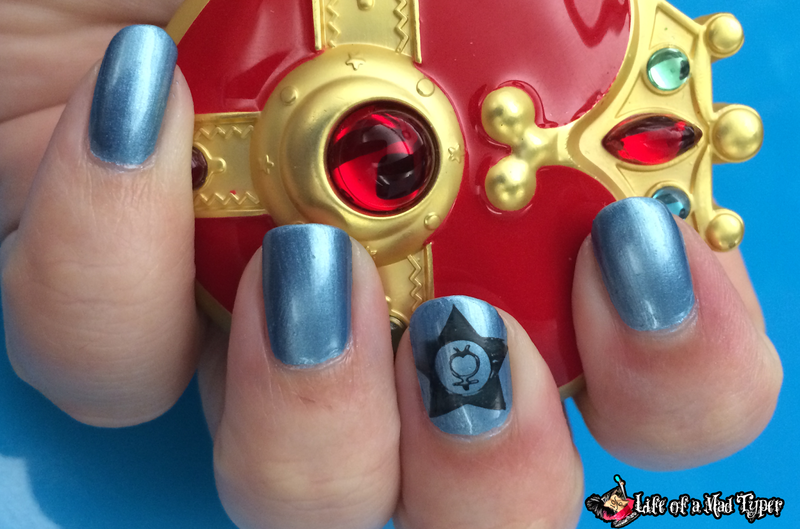 I was excited when I discovered other moonies in the nail polish community which is where I met Amanda. 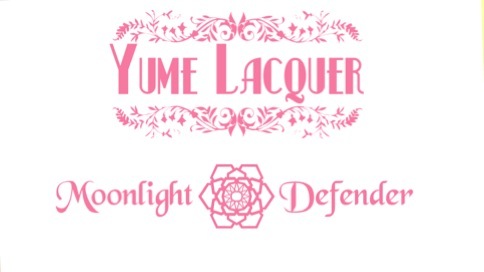 She sent me 3 of this collection inspired by Sailor Moon to swatch and review! A bright blue metallic/foil polish. 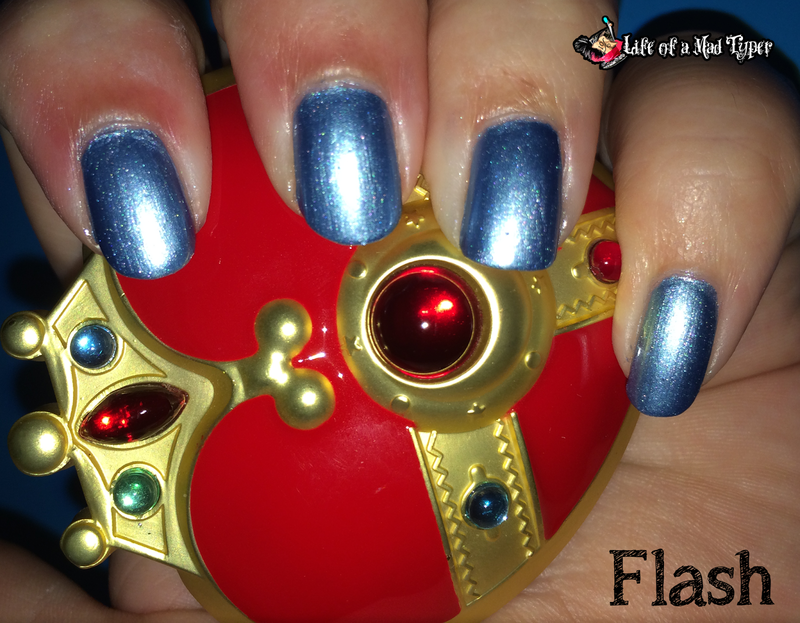 Inspired by Ami Mizuno / Sailor Mercury. I used 3 coats to hide all traces of my nail line. The polish dried quickly and brush strokes disappeared once it was dry. Clean up was simple but it leaves a shimmer on your skin where it touched. I used no top coat in these photos. This kind of reminds me of the Sally Hansen ColorFoils that I love! 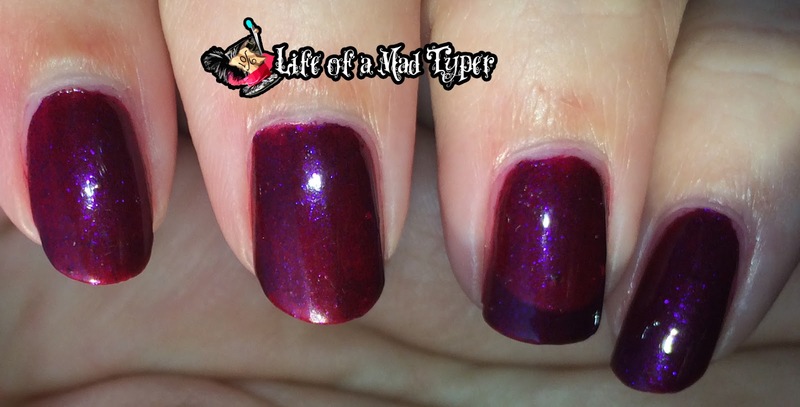 A rich red jelly with purple microglitter. Leans plum with one coat. Inspired by Rei Hino / Sailor Mars. Flame Warrior is a bit of a mind boggler. It likes to change its color depending on the lighting and the angle. It has a red base which is seen best in sun light. 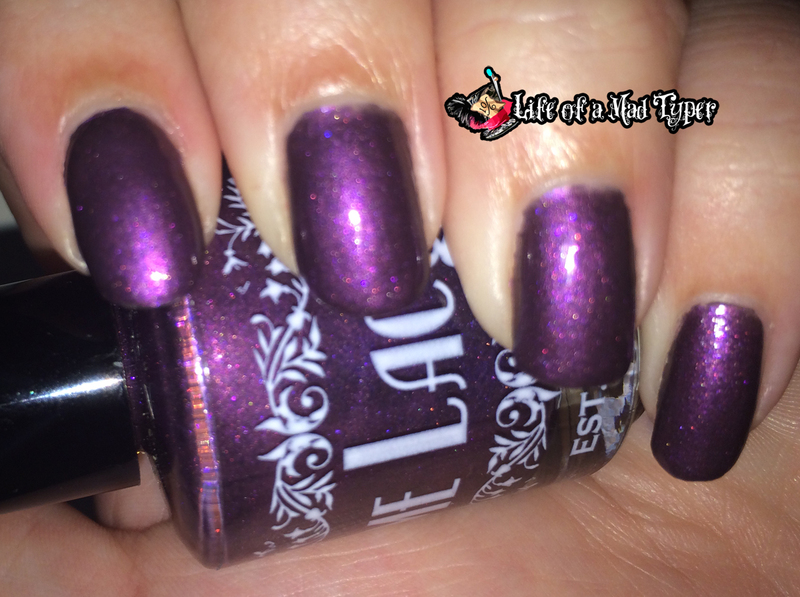 The micro glitter gives the polish a purple tint in indoor lighting. This is a perfect color for fall. This is 3 coats of flame warrior with 2 coats of HK girl topcoat. This dries to a matte finish with a slight texture from the glitter. I did have a few places where my skin didn't want to give up the color during clean up but the nails itself were not stained by this polish. I wore this for 5 days without chips. 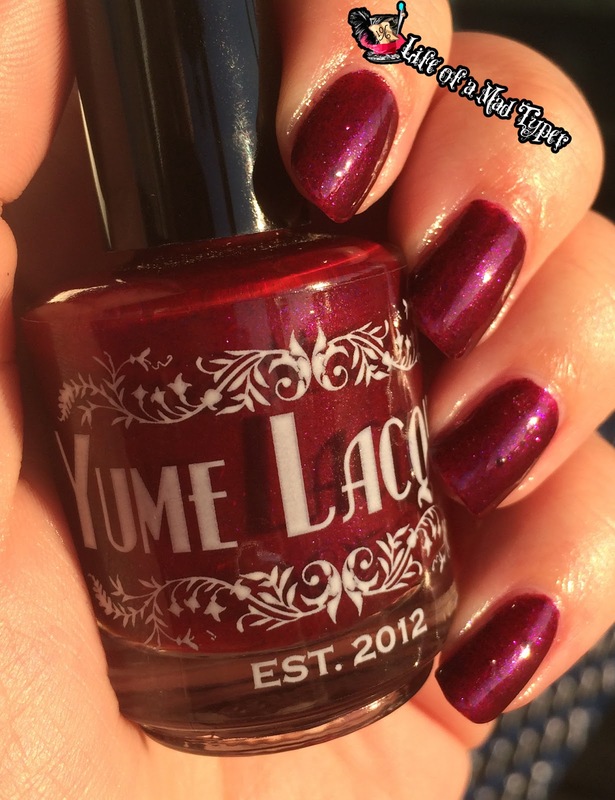 A plum shade with purple microglitter with a slight duochrome effect. Inspired by Hotaru Tomoe / Sailor Saturn. Other than Sailor Moon herself Saturn was always my favorite. I even have a mini that I made of her staff at my desk in my pen holder. I had planned to crochet saturn someday but then I ran out of the will to crochet you could say. While I am not much a fan of Duo chromes I love this color! When I look at this I see more than just purple micro glitter I see red and blue but that could just be me. This polish also dried with a slight matte finish and I added on 2 coats of topcoat as well. I wore this polish for 3 days without chips before I removed it. Purple is my favorite color and this color is perfect for the season. 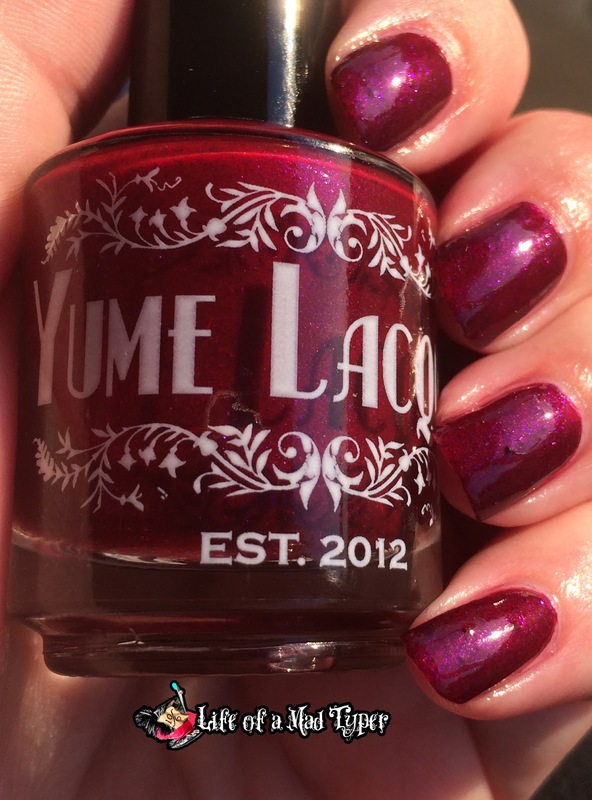 If you are a fan of Sailor Moon, Nail polish, or even better both then you should check out Yume Lacquer! Oh my goodness - those are all great colors! 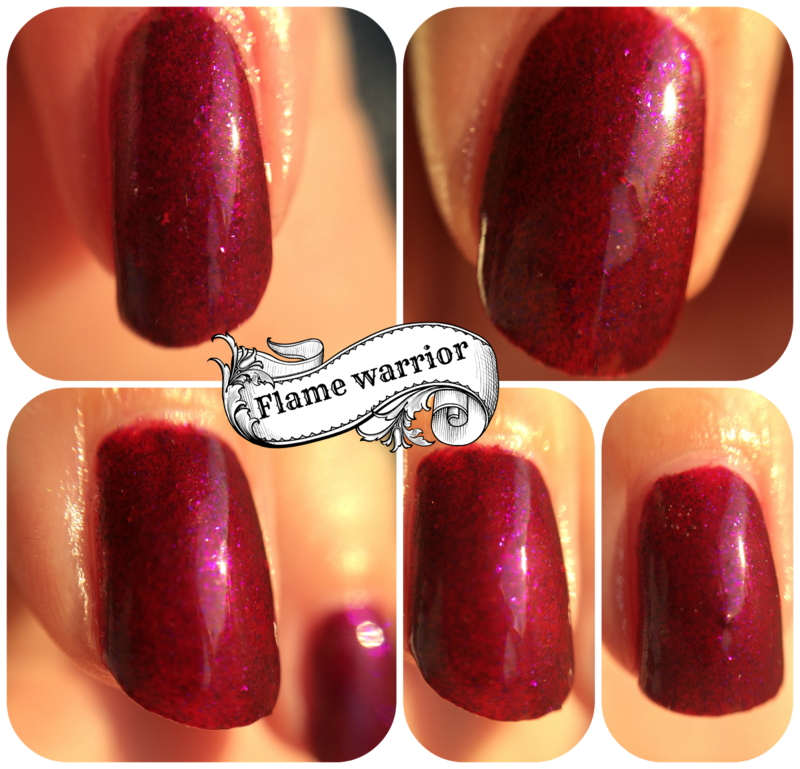 I'm torn which I like best, but I think for fall, I would go with the Flame Warrior - so fun! It was hard for me to pick as well. I always have a problem with nail polish not drying and clumping ,if I put on more then two coats thinly, so this looks great at 3 coats drying fast. Hmm some people have issues with chemistry. I know mine pop off after a few days. Isn't she! They are starting to grow on me. The matte purple is luscious! Agree. It's like it has a fire of its own.